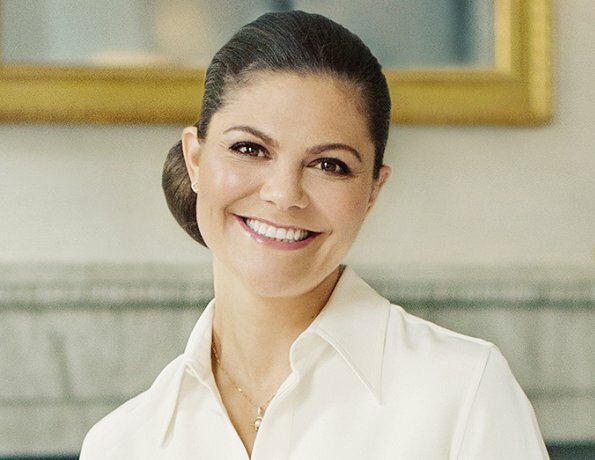 On July 14 Crown Princess Victoria of Sweden is going to celebrate her 40th birthday. 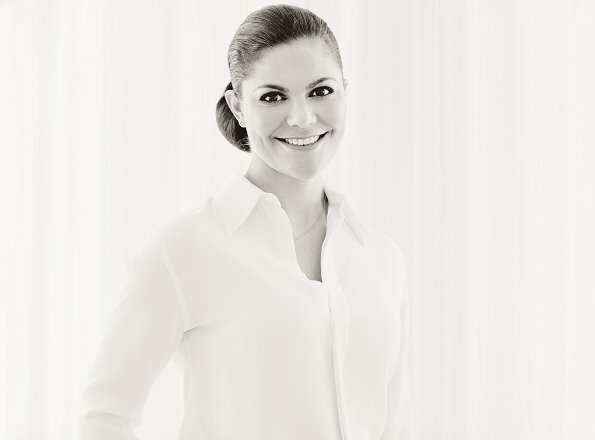 On the occassion of that birthday the Royal Court of Sweden published five-new-photos of Crown Princess Victoria. These photos were taken by photographer Erika Gerdemark on 18th May at Haga Palace in Solna, Stockholm. Beautiful pictures, she has such a beautiful eyes. Elegant, ladylike, beautiful. Perfect photos for her birthday! What stunning and lovely portraits are these! Her sparkling eyes and smile just shine, showing a sincere, kind and intelligent woman. Love these. She sets the bar for modern princesses, that's for sure. Very elegant and extremely professional. She inspires.. Very beautiful photos. Victoria looks so lovely in white. Its hard to helieve that she will be 40 next month. But why the photos were published so early? She turns 40 on 14 July. Isn't at first Madeleine's 35th birthday on 10 June? Victoria is the Crown Princess. They celebrate milestone birthdays for each decade. She looks very beautiful in white!! Inspirante et radieuse princesse Victoria. J'adore! Very nice. She looks good in white. Love the last picture. I do not think these are phoshopped other than basic what is done to every pic. There is just nice soft light and portrait objective (what makes a little soft result). Anne-Marie; I am a photographer myself taking a lot of portraits, so I am also very very interested how you can judge these photos as badly photoshopped? You must have some kind of deeper wisdom of this thing really. To Raquel; almost every photo we see here have gone through a basic Lightroom progress (what was before made when developing a film in darkroom or bulks using developing machines). White balance, top white and black, highlights and shadows are put to right balance. Maybe a little adjustment to contrast and some little sharpening steps. Those are what every professional photographer make automatically to every digital photo they let go out. So do I. It is not made in Photoshop but in Lightroom or Bridge. To me it is not "photoshoping" but progress to digital development of a pic. That was really made before Lightroom/Bridge in darkrooms also to every film or picture. That was also made to every ordinary film taken and print lately automatically before more manual. I have made that hundreds of times manually in my darkroom. So nobody of us has really any pictures what have not been true some kind of developing progress. That means all our pictures are kind of "photoshopped" if you like to use that word of developing a pic. But then you also must add that idea to almost all pictures (only ones without it probably are mobil camera pics by commoners). To me photoshoping is changing really something in pic, when talking about portraits it is taking away wrinkles, teeth whitening, taking pimples away etc. When going further to serious line it is making people/object look very different. This all is made in Photoshop. Like Sofia´s belly in other tread. That could never have been looking so big IRL. This difference is clear also if you take part to any photography competition. You can make all those Lightroom/Bridge stuff things but not anything real Photoshop things. I do not believe there has been any use to any filters. There is nice ambient light in room/outside + round diffusing lightbox at left side of photographer in every pic (that you can see from her eyes), also soft light to wall behind her in some pictures minimasing shadows. Photographer may have wanted these be light pictures so he has adjusted balance to that side developing them a little over. Blondiini, thank you for sharing your knowledge! That is really interesting! Blondiini, I deeply appreciate your knowledgable explanation. It was a pleasure learning something new. Thank you very much. @Blondini, you're a photographer? How wonderful! Also I always wonder...why the box over here or up there lights up when pictures are taken at events and you just explained it! Maybe I will try a beginner's class at my neighborhood museum. Very cool! Raquel is right: these photos are photoshopped because no way Victoria has so super smooth and line-free forehead! Victoria is the one who cannot talk without frowning, lifting her eyebrows and wrinkling her forehead. But people who have such an expressive face are doomed to get wrinkled early and there were lines on Victoria's forehead already in her late 20s. Suddenly Victoria has supper smooth forehead. Hmm...miracle? Not very likely! I think its not good to show false image. There's nothing wrong when people of her age have wrinkles because those wrinkles and lines tell a life story. I feel sorry for other women in their late 30s, early 40s who have lines and wrinkles and may feel inadequate in comparison. You are all beautiful without photoshop, botox and fillers and despite your age! Victoria looks indeed gorgeous and fantastic for someone of her age. I like her in all white outfit and all white styling of photoshoot. But is that real image of her? Karl; when a professional photographer takes portrait pictures he uses such a lens what makes result a little soft. He also uses soft ambient light what eliminates shadows. Those two very basic things togeather make skin look smoother without any photoshoping. Those two things have been done ages, far before any digital pictures appeared. This is actually the same effect we have when using light reflecting pens in make-up. Try to avoid dark shadows at wrinkles. When you see these same people in harsh straight light (high sun or simple flash), there comes these shadows what make wrinkles appear. Actually you can easily make your basic lens to be portrait lens by taking 10 - 15 DEN skin color tights, making there hole and putting tights over basic lens so that tights are only at end parts of lens. Abracadabra the whole lens appears to take soft pictures. Victoria is so beautiful, and she looks stunning in these photos. White is such a lovely color on her as well. The last photo is lovely. Pictures are simply delightful. Victoria is lovely. And her white outfit is beautiful -- great choice.